The Budget Hotels in Ranakpur provides excellent cuisines to the guests of the hotel, including a number of vegetarian specialties for the Jain devotees who wish to visit this special pilgrimage site. 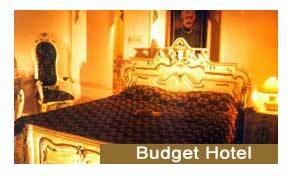 Business and conference facilities are hardly offered by any of the Budget Hotels in Ranakpur. The city which has longed remained as a symbol of Rajasthan�s secular heritage as rich culture; Ranakpur is situated between two of Rajasthan�s most important tourist destinations, Jodhpur and Udaipur. Indiahotelandresort.com offers online room booking at various Budget Hotels in Ranakpur and other cities of Rajasthan.